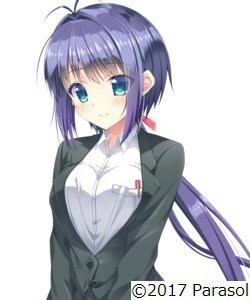 Saya's older sister who is also Haruta's homeroom teacher. Very popular with her students due to her kind and friendly personality. Wakana also secretly loves anime, especially ones with cute girls, and watches it to relieve stress. <hidden by spoiler settings>She has no sexual experience with men because only 2D interests her. However, she finds that Haruta is... Interesting. On her route, she and Haruta started dating after they had a family night with Saya at Haruta's place. Their relationship remains secret because, even if their kinship is unknown to all (except for Saya and her family), they remain in the eyes of the world a teacher and a student. "I also think it's normal to get possessive around aggressive polyamorous sperm pirates."